Trek Diagnostics Systems Sensititre Sensitouch Microplate Reader w/ Keyboard . 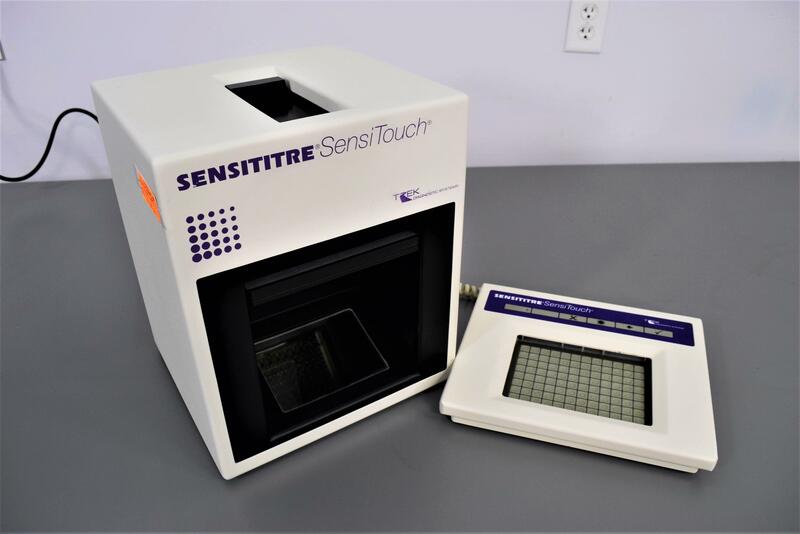 New Life Scientific, Inc.
Our in-house technician did inspect this Sensititre Sensitouch Microplate Reader. The technician was able to view the microplate by using the mirror and adjust the light source with the top slide. When plugged in the keyboard states ready. No other testing was performed. 11.25 x 10 x 13.25 in.